More information coming soon. Check out our Facebook page for photos from past events. From the press release: The New Glarus Public Library, in collaboration with the New Glarus Historical Society, is proud to welcome Wisconsin author Eric Schlehlein and his program “Forged in Blood: How the Iron Brigade Earned its Metallic Moniker.” This 40-minute program tells the story of more than three thousand Wisconsin boys (including New Glarus founder Fridolin Streiff) who served in the Iron Brigade during the Civil War. This brigade would suffer the highest casualties of any brigade during the Civil War. The 58th Annual Commemorative Church Service, honoring the arrival of our Glarner ancestors, will take place on the grounds of the Swiss Historical Village Museum on Saturday, August 12 at 5:30 p.m. The ecumenical service will be led by Pastor Kim Moeller of the Swiss United Church of Christ with music provided by the New Glarus Mannerchor and Shirley Lueschow, organist. Sponsored by the New Glarus Historical Society, the public is encouraged to attend. Join the Swiss Museum on May 13 to celebrate the Downtown Open House event in New Glarus. In addition to free admission to the museum, these other events will be going on: free admission for the Chalet of the Golden Fleece museum, bike rodeo, tours at the New Glarus Brewery, walking tour, and a tour at the Swiss United Church of Christ. The museum will be open normal hours that day. For more information, go here: http://newglarusvillage.com/government/downtown-open-house. 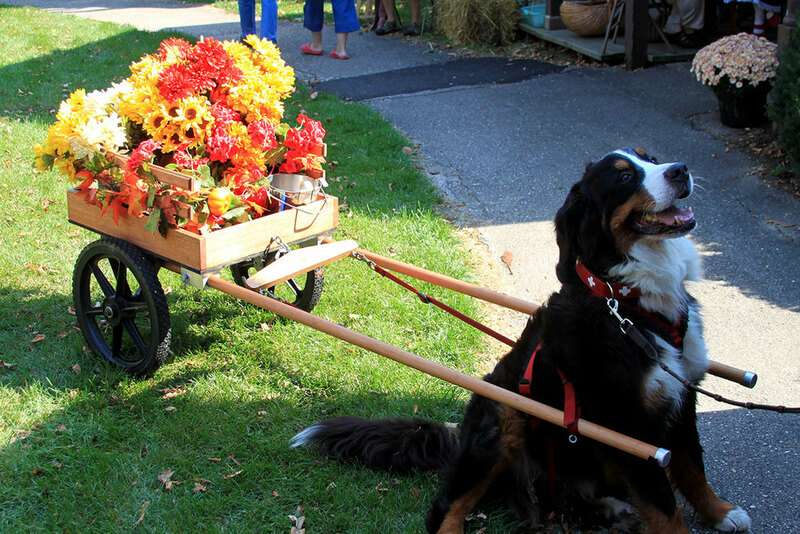 Don't miss the annual Harvest Fest, the most popular event held at the Swiss Historical Village Museum, operated by the New Glarus Historical Society. 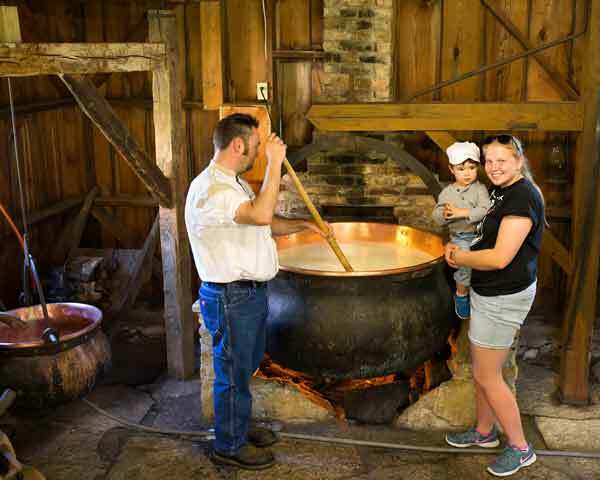 Connect with 19th century Swiss immigrant life at our annual Harvest Fest where daily routines and responsibilities of the past – cheese making, blacksmithing, yarn spinning, basket weaving – are re-created. Enjoy a Swiss brätzeli cookie-making demonstration. Talk to Civil War re-enactors, the “Bee Man,” a wheelwright and a sausage maker. (You can even buy their products!) For those of you who are feeling ambitious, practice your three Rs in a one-room schoolhouse. After all that work, relax and enjoy some live music on our picturesque grounds. Reduced admission fees for this event. The annual ecumenical church service commemorating the arrival of the first settlers in New Glarus will be held on Saturday evening, August 13. No admission is charged to attend this event. More details will be posted this summer. women, stories which display hope, courage and some sadness. A new, third tour is being offered at 10:45 a.m. This will be a tour of the little cemetery on the edge of New Glarus often referred to as the EUB (Evangelical United Brethren) cemetery. This historic burial ground also has many stories to tell and will feature original settlers and their families who belonged to what we often call the "White Church". Oswald Babler, a New Glarus original, will be a highlight. Since this is a very small cemetery, the stories of several individuals from surrounding area cemeteries may also be discussed. Tours will begin at the EUB cemetery with parking at the Swiss Center of North America parking lot. Reservations for all of the tours are required in order to maintain the small tour groups. Please call the Swiss Church office (608-527-2119) after the 4th of July and get placed on the tour(s) of your choice. The New Glarus Historical Society will hold an open house for members of the New Glarus Fire Department and Fire District Board from 6:30 to 7:00 p.m. The Open House will continue for Historical Society Members and the general public from 7:00 - 8:00 p.m. This event marks the grand "re-opening" of the Fire House exhibit space after the addition of new photographs and items to the displays as well as the installation of enhanced lighting for the space. Exhibits chronicle the history of the New Glarus Fire Department since it was established in 1902. Connect with 19th century Swiss immigrant life at our annual Harvest Fest where daily routines and responsibilities of the past – cheese making, blacksmithing, yarn spinning, basket weaving, and more – are re-created. Enjoy a Swiss brätzeli cookie-making demonstration. Talk to Civil War re-enactors, the “Bee Man,” a wheelwright and a sausage maker. (You can even buy their products!) For those of you who are feeling ambitious, practice your three Rs in a one-room schoolhouse. After all that work, relax and enjoy some live music on our picturesque grounds. Don't forget to give our Bernese mountain dog a pat before you leave! Enjoy special event reduced admission. For more information on our village and museum, please see our visit page. Each year the New Glarus Historical Society honors the journey and arrival of the immigrants from Glarus, Switzerland to Green County. Make plans to join us for this ecumenical service held in the replica of the log church on the Museum grounds, beginning at 5:30 p.m. Reverend Gene Talley will lead the service with Shirley Lueschow playing the antique pump organ. The New Glarus Maennenchor will sing several songs in Swiss-German. The offering is donated to the Green Cares Food Pantry. The New Glarus Historical Society will host the Capitol Regional Meeting of the Wisconsin Historical Society on Thursday, August 6, 2015 from 9:30 AM to 4:00 PM. Morning sessions will include "How to Involve Young People in Local History" and "Writing and Publishing Local History." Tours of the Swiss Historical Village Museum and Chalet of the Golden Fleece will take place in the afternoon, for those interested. Join us for a free admission open house beginning at 3:00 pm. The Ziehli's from Belleville, WI will present information about bee-keeping and honey production. Tour the replica of a Swiss Bee House or Bienen Haus, light refreshments and our beautiful grounds. Join us for this annual event, dating back to 1959, honoring the original Swiss immigrants who settled New Glarus. This ecumenical service is held in the Old Log Church on the Swiss Historical Village and Museum grounds. You'll enjoy hymns played on our antique pump organ and traditional Swiss music performed by the New Glarus Männerchor. During the service, a collection basket is passed for a local food pantry. Free admission. Please note: The museum itself is closed during the Commemorative Church Service. Educational event Processing Sap to Make Maple Syrup, presented by Robert Holmes of New Glarus on Sunday, May 18th, 2014 from 3pm - 4:30 pm. Additional information connecting New Glarus organizations and interesting facts about pancakes will be shared during the event. The admission fee for the museum will be waved during the duration of this free special presentation. This will be an interactive event and light refreshments relating to the topic will be served. Please come and see the many things the Swiss Historical Village Museum and Gift Shop have to offer.